Nowadays, it has become easier than ever to explore Nan, a Northern Thai laid-back town full of tiny but culturally rich villages, expansive rice fields and magisterial mountains. The ethnic Tai Lue culture is also prominent here, and there’s not a better place to experience their ethnic heritage. With its wild landscape and remote location, the city still remains under the radar of most tourists, and even some Thai locals. Today this northern city has made a name of it's own, and we want yo to check out these top 5 incredible places to visit in Nan, Thailand before anyone else! Wat Phumin in Nan's old town has some of the most unique and beautiful murals in the country. 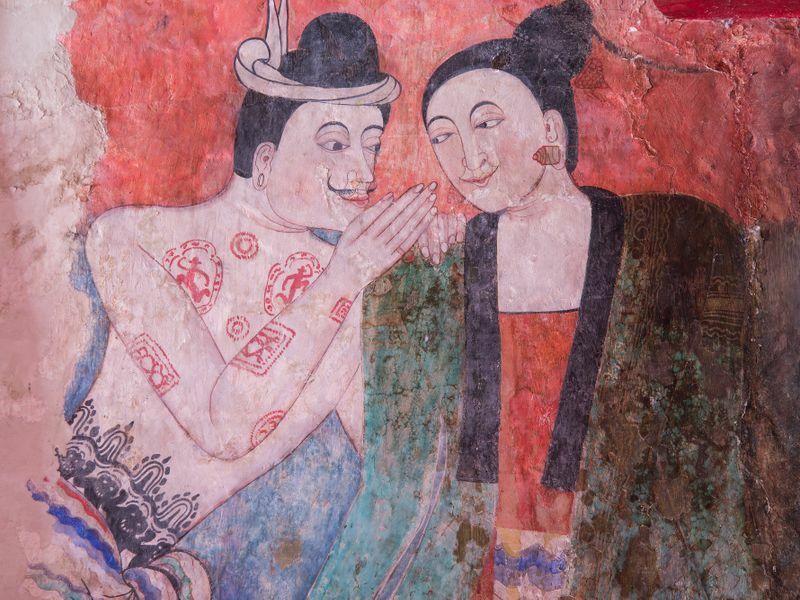 One local legend says that if you and your lover wish for an eternal love in front of a particular mural named "The Whisper of Love", your wish will come true. Aside from the mural, the architecture of Wat Phu Min is intriguing. The temple building combines the main worship hall, the ordination hall and the pagoda into one. The interior is decorated in Tai Lue style and four golden Buddha images encircle the main pagoda. Nan Riverside Arts Space is one of Thailand’s best places for local art collections. Founded by Winai Prabripoo, a famous Thai national artist and a Nan local, the gallery holds paintings and mixed media made by local artists, whereas the calm and serene garden on the banks of Nan River displays sculptures. 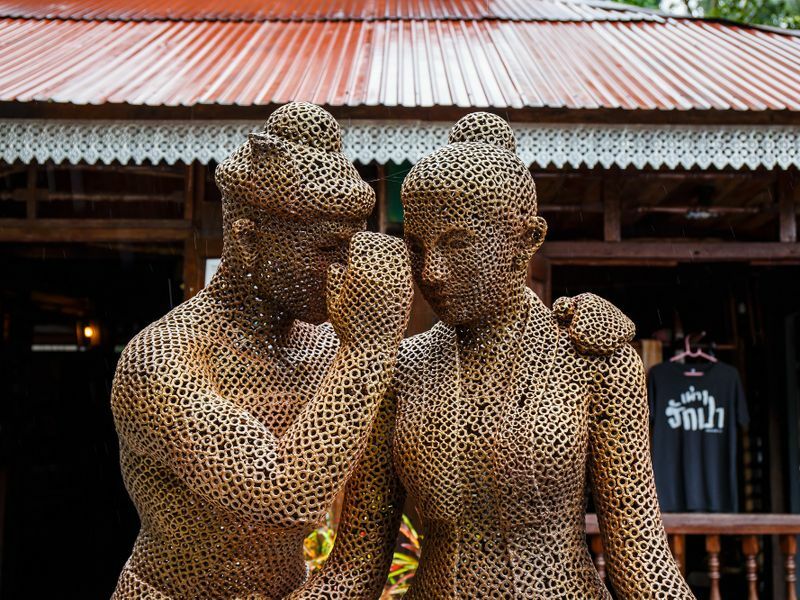 Nan Riverside Arts Space proves that Nan is an amazing place for traditional and contemporary art aficionados, and can give Chiang Rai a run for its money. For a different kind of art, head to Sao Din Na Noi, as the Earth itself can be great artists. 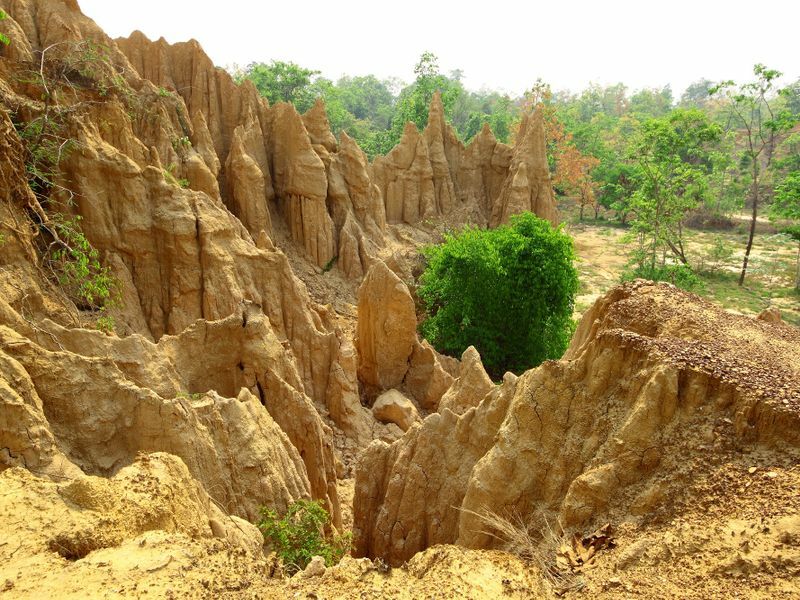 Sao Din Na Noi are natural limestone erosions caused by wind and rain. This natural collection of eroded sandstone pillars and cliffs is also sprinkled with forests here and there but most of the time, you'll feel as if you're in one of the scenes of an Indiana Jones movie. 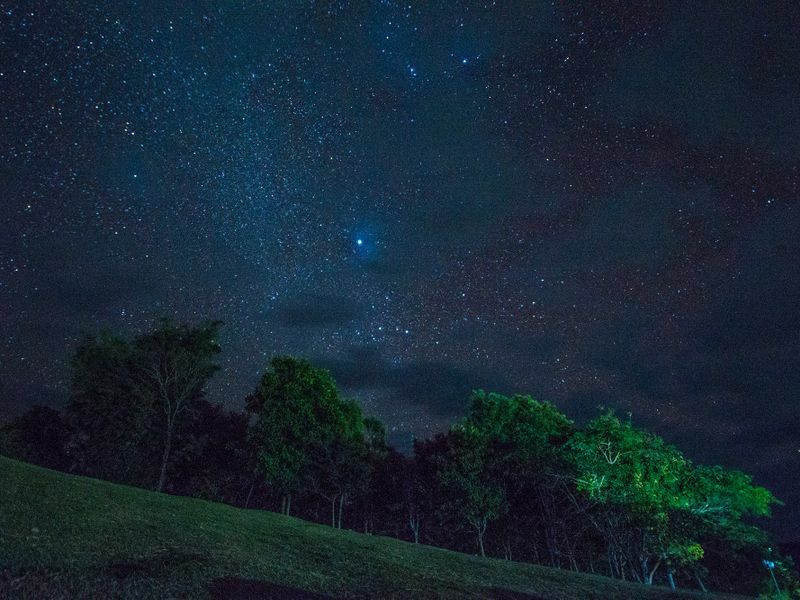 Let the stars sing you lullaby before you fall asleep and be greeted by the morning sea of mist at Doi Samer Dao in Sri Nan National Park. This is a great place for those who want to connect oneself with nature. After the sunrise, do walk along the nature trail to Pha Hua Singh or Lion’s Head Cliff and enjoy the panoramic view of forests and the river below for a perfect morning with the nature. Doi Phu Kha National Park is Nan's biggest and arguably most alluring national park. A beautiful nature retreat, dramatic limestone mountains, clear streams and waterfalls and sunrise above the mist makes it a must-visit place for nature freaks. 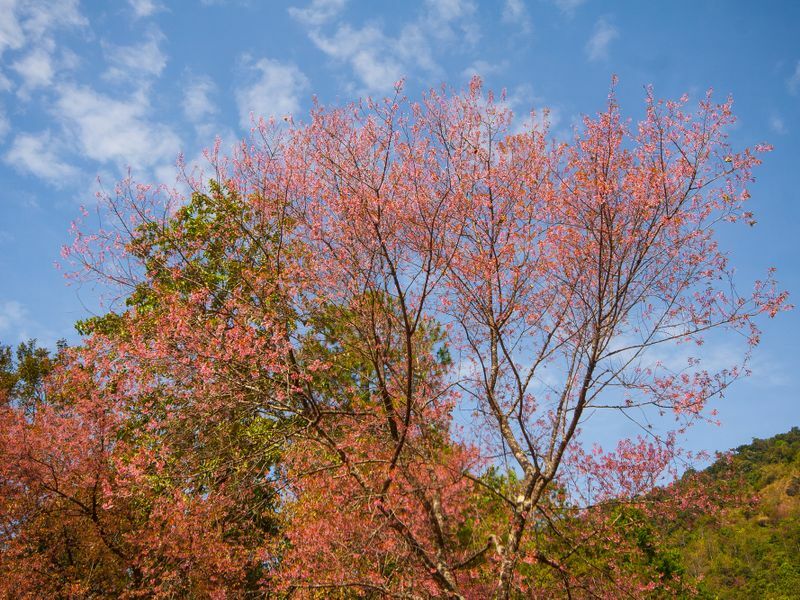 Doi Phu Kha National Park is also home to near-extinct plants, including the February blossoms, Chomphu Phu Kha, which makes it the only place in the world where you can see these pink flowers. Not exactly what you're looking for? Check out our wide selection of top-rated private 1-day tours in nearby city of Lampang here below. Visit an Exceptional Waterfall and Mysterious Cave in Lampang! 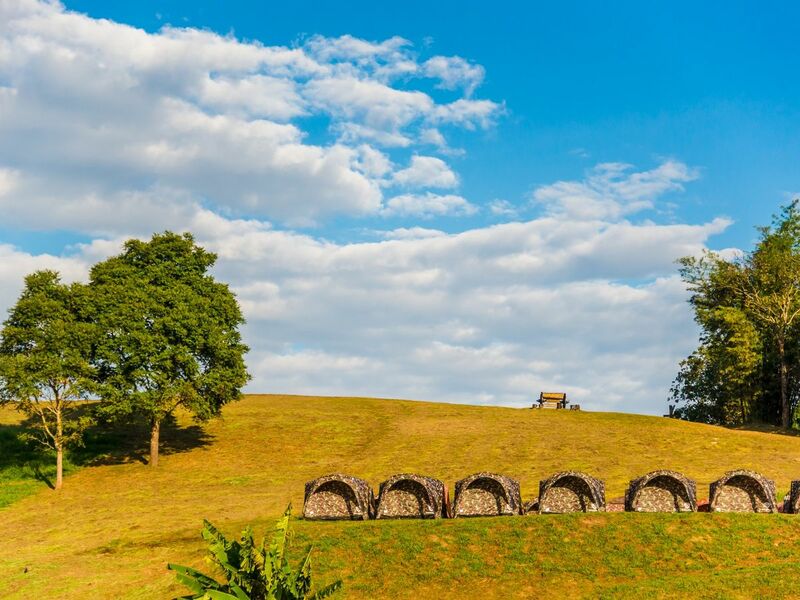 Explore the Unseen Temple & Secret Village in Lampang!